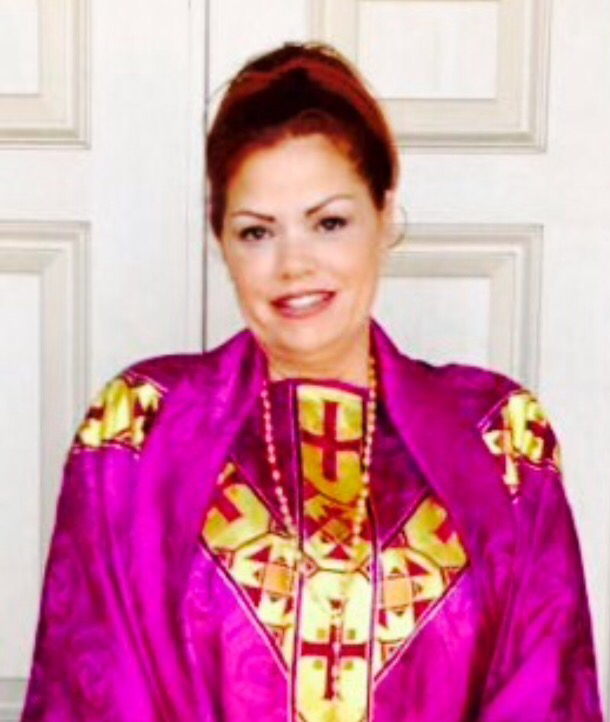 A few days ago, Bridget Pouges reached out to me regarding joining the “Officiant List” at Bell Chapel and today I met with her to accept this honored position at a unique venue here in Fort Worth. 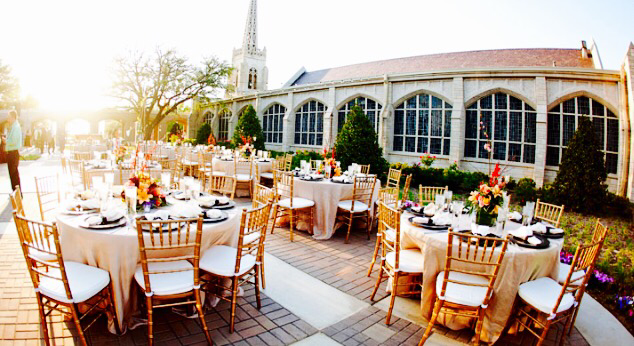 Located at 3712 Wichita Street Fort Worth, Texas the website is Bell Tower Chapel & Garden Wedding Venue is the perfect setting for your perfect day. 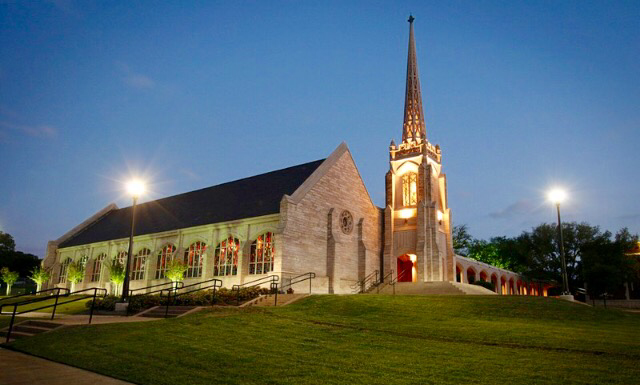 Nestled in a private, 20 acre campus, Belltower Chapel & Gatden was constructed in 1958 in Neo Tudor style architecture. The historic cast stone chapel features stunning stained glass windows, a distinctive steeple and working bell tower which couples ring together following their wedding ceremonies is a unique and creative opportunity. There are three unique event spaces in one that include the Chapel, the Reception Hall and the Garden. The Chapel is elegantly designed in natural wood tones and surrounded by beautiful stain glass windows. It is perfect for any ceremony style just as it is, or customize it by adding your own elements. Vaulted ceilings with a 61 foot center aisle and 16 rows of pews on each side, this Chapel can accommodate 200 guests. 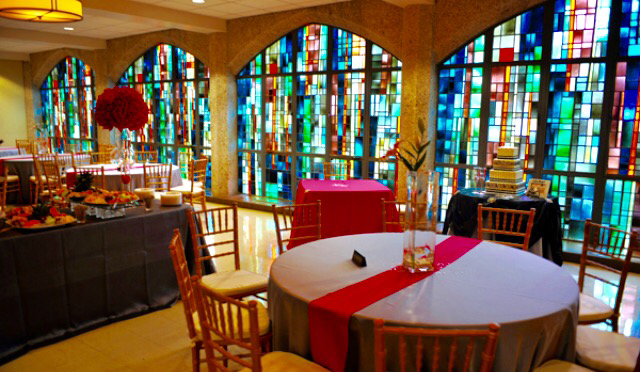 The Reception Hall features stain glass windows and is the perfect location for an intimate reception. The Reception space is perfect for a seated reception, cocktail hour or dancing the night away. The Garden Sanctuary creates a romantic atmosphere for your special day with beautiful outdoor seating for ceremonies and/or receptions complete with pergola and lighting. Amenities include a professional event coordinator and guest tables with gold Chiavari chairs that are cushioned for guest seating along with wrought iron candelabras and a wrought iron unity table. Dressing rooms both feature stained glass windows, a room length lighted vanity with ample seating and multiple outlets with a refrigerator and wireless access for your convenience. The audio system includes a wireless lapel and handheld microphones as well as iPod dock and CD player for recorded music with an open port to allow dj’s to connect directly into the indoor sound system. A baby grand piano is located in the sanctuary and available for use as well. A NO FEE vendor policy allows couples to select their own vendors and control budgets. Bell Tower requires caterers, DJ’s, and anyone bringing equipment into the facility to provide proof of insurance. Alcohol is permitted with a TABC certified bartender and security officer required. Clients are welcome to bring their own decorations. Privacy is guaranteed when you select this unique venue as Sole Rental is guaranteed and no other event is scheduled at the same time as your own. Events scheduled for outdoors can easily be transferred indoors should inclement weather occur. I’m looking forward to officiating at this majestic location and meeting new clients. This location is worth visiting if you are planning to marry in the DFW area with many unique attributes and photo friendly areas to make your wedding memories last a lifetime.